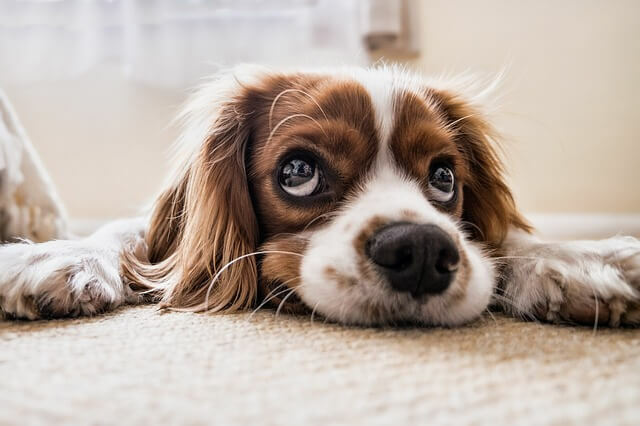 Fussy dogs who don’t want to eat their own food are surprisingly common, and a massive frustration for their well-meaning humans. In 9 out of 10 cases, being a picky eater is a habit. This behaviour is shaped by the environment that your dog lives in (which includes you!) so we need to make some adjustments to cure fussiness. 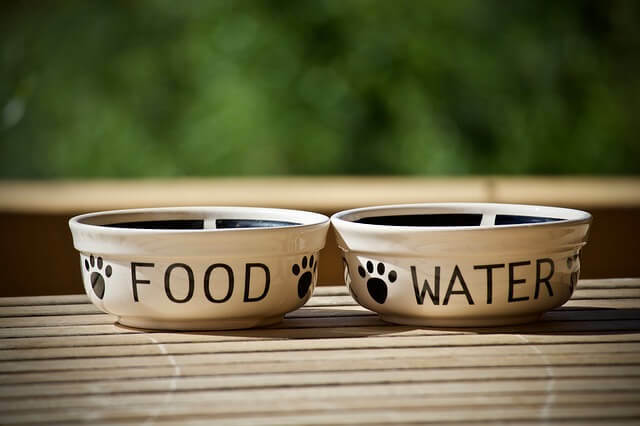 If your dog is fussy then this guide is for you! The key is to come up with a feeding plan and to stick with it. Once you make a decision about what they are and aren’t allowed to eat make sure that you don’t change it. This consistency is how your dog know what behaviours are acceptable. It’s not hard but does require some willpower on your behalf! 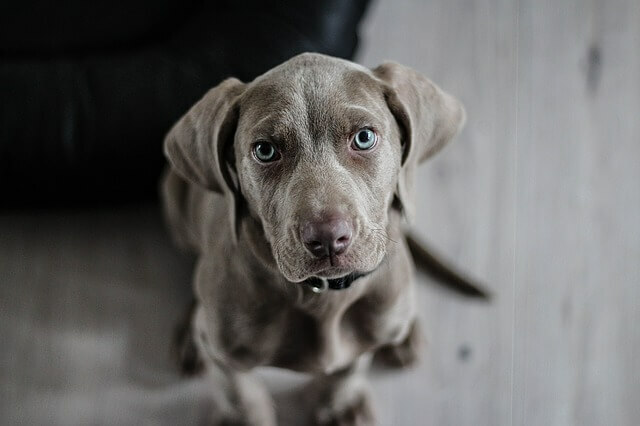 When changing a fussy dogs eating habits it can be helpful to fast your dog for the first 24 hours (especially if your have a really picky pup). Dogs can go for several days without food so don’t worry. And when you do offer food only allow a 10 minute eating window. If they don’t eat their dinner in that time then you take the bowl away - you can try again an hour or two later. What you are doing is taking control of the situation and increasing their appetite for when their food is on offer. 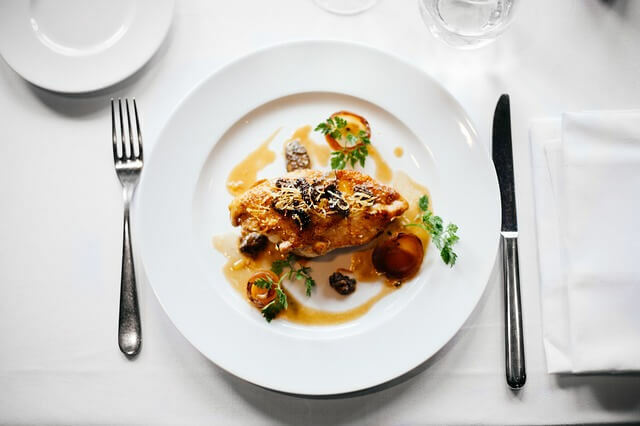 Before we dive in, it’s worth noting that while fussiness is a common behavioural problem it can also be the sign of underlying health issues. If you have any doubts at all please consult your vet, and make sure your dog is in good health before attempting any “tough love” feeding regime. The first thing to consider is what foods are being offered. If your dog is happy to eat your food but doesn’t want to eat their own dinner, then you know that this is the issue. 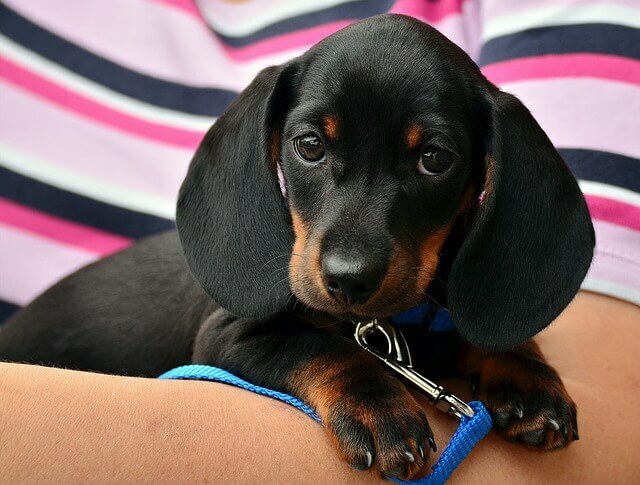 Your dog’s fussiness is probably a habit - they prefer your food to their own. In order to change this habit you need to STOP offering human food. It needs to be completely taken off the menu, no exceptions! It’s like choosing chips instead of salad for lunch. It’s easy to eat the salad (especially if it’s a tasty one!) but you would probably prefer to have the chips. By taking the chips off the menu it’s no longer an option, and you enjoy the salad instead. So the first step to helping a fussy dog is to stop feeding table scraps, leftovers, or human food. In fact, don’t offer anything apart from what you want them to be eating. Reduce their food options down to only the food you offer for dinner. This has to be non-negotiable, and everyone in your house has to be on board. You dog may turn the screws on you, begging for your food, looking hungry and giving you the puppy dog eyes. Don’t give in! This is where you will win the battle and cure your dogs fussiness. Over time this has the added benefit of stopping any begging during your dinner time too. Once they know that you won’t feed them human food they will quickly lose interest in your eating habits. Is you dog getting enough exercise? Not only is getting a moderate to high intensity walk every day super important for their fitness, it also stimulates their digestive system. As anyone who goes to the gym knows, when you get home you are HUNGRY. It’s the same for dogs. 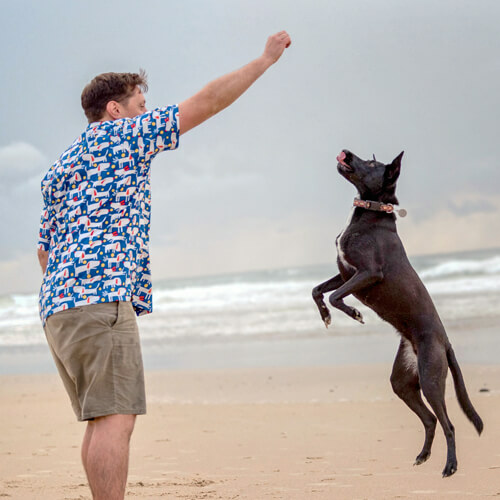 Ensuring your dog is properly exercised increases their appetite and desire to eat. Like people, dogs need a job. Having to earn their dinner, even just with a small action, can help improve the appreciation of it. One good way of doing this is to make them wait for their dinner. Get you dog to sit in a calm manner. You may need to be patient here! But it’s important that you are in control so they know they are working. Once they are sitting and calm, place their bowl a few meters away. Make sure they are sitting for at least 10 seconds, and then release them to eat their dinner. This holding period is work for them, and it changes the dynamic of dinner. Once you get this into a routine it helps to create the habit you need - dinner is now a reward for good behaviour! Warming up their dinner is a great way to make it more exciting. Try adding warm bone broth (no onion) or water over the top of the food. Let it sit for a few minutes and stir through. This will warm it up slightly which many dogs love. If you have a really picky dog, it can help to change the spot where you feed them. Pick a new place where they haven’t eaten before. Make sure it is free from distractions like TV and humans - it helps if it their “own” space. This is a good thing to do at the start when you are making changes as it helps to remove the current associations they have with food. It’s important that throughout this whole process you don’t get frustrated or make a big deal about it. When you make a fuss over your dog they love the extra attention which can be counterproductive. Stay cool, calm and in control. Stick to your plan, you will make progress! Make sure you feed a high quality raw dog food. 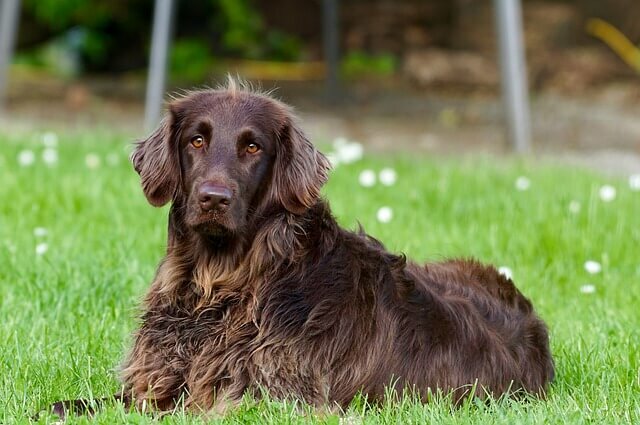 Dogs digestive systems are designed to eat mostly meat, so generally they find it the tastiest option. If I was fed wheat based nutri-biscuits every day I would go off my food too! So make sure they are getting a delicious, nutritious meal every day. 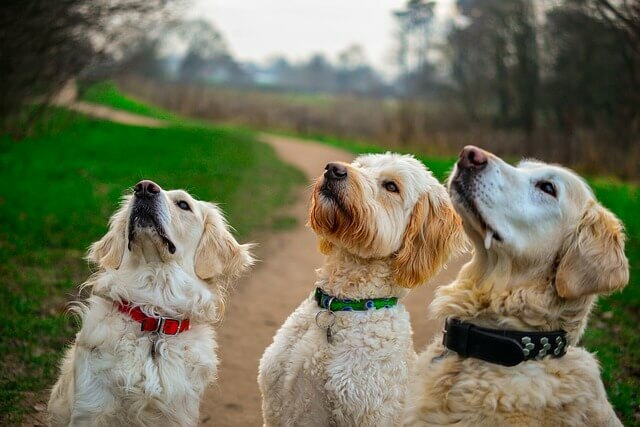 All dogs are different, so find a brand that suits your dogs tastes. 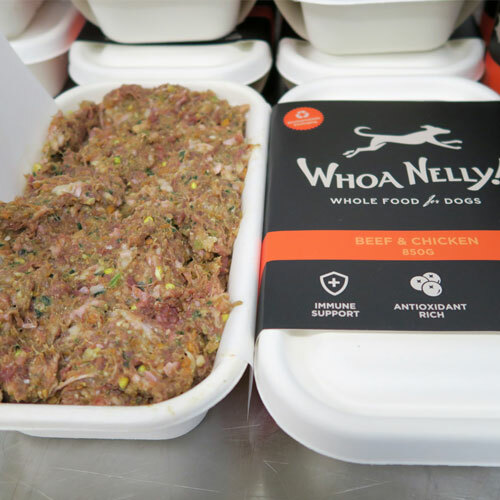 We have a very high success rate with our Whoa Nelly Dog Food - we get lots of messages saying “my fussy dog loves your food!”. We put that down to using high quality ingredients, genuinely minimal processing and how fresh our food is. There is no silver bullet here, so you may need to try different foods until you get one your dog loves. But whatever you are feeding, make sure it is good quality!